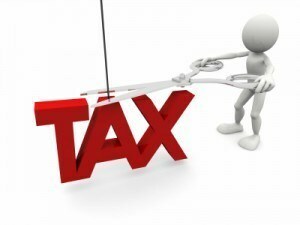 Home Advice Expat Financial Tax Advice – Have you thought about becoming a 'tax nomad'? Expat Financial Tax Advice – Have you thought about becoming a 'tax nomad'? There are a vast number of ways to minimise your tax bill and expat financial tax advice can help anyone to streamline their affairs. If you are retired, though, or you earn your income digitally, then one attractive lifestyle choice could be to become a tax nomad and pay no tax at all. Of course it is possible to streamline your tax affairs with offshore companies and the like, but some people like the concept of simply travelling the world. Spending just the right amount of time in a variety of countries means you are not technically a resident. Get advice today with Harrison Brook. Technically you are still liable in some countries for income tax for the money that was earned while on its shores, but the reality is that if you shift base often enough there simply isn’t a solid paper trail. To make it watertight legally you still might want to consider an offshore company in a low tax regime like Belize, though. Non-residents do legally skirt Capital Gains Tax, so get expat financial tax advice if you want to sell an investment portfolio then there are obvious advantages to hitting the road for a year. Take the first step today with Harrison Brook. It might not be a long-term plan for life, but if you can save vast amounts of money on complex financial deals while sunning yourself in the summer and hitting the slopes in winter, or simply doing some travelling that you never got time to do in the past, becoming a tax nomad for a year or two could be a very attractive proposition. Get expat financial tax advice with Harrison Brook. Before embarking on this course of action, it’s imperative to get solid financial advice, as some countries like Spain base their rules for tax residency purely on the number of days you spend in the country. The UK, meanwhile, and Germany, have successfully argued that many people used their country as their ‘centre of economic interest’. In this instance, the days you spend offshore isn’t going to prevent a tax bill. Make the right decision for yourself. Get Expat Financial Tax advice with Harrison Brook.